What are little boys made of? Snips, snails and puppy dog tails! 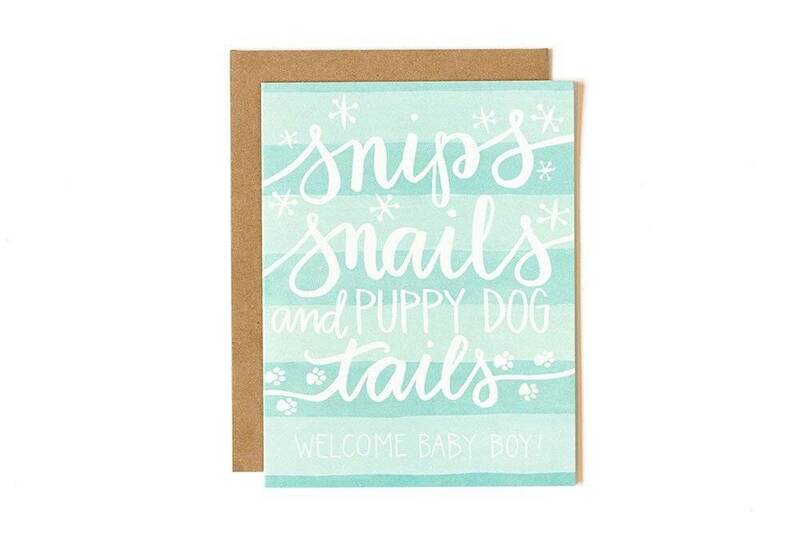 Welcome a bouncing baby boy into the world with this new hand-painted card. All illustrations printed locally in the Midwest, USA.